CBS NY News: Con Edison was reporting about 750,000 customers without electricity, mostly in New York City and Westchester County. Mayor Michael Bloomberg said 326 buildings and 59 public housing developments are in the dark. NY Times's live blog - click it or updates. Much of Manhattan below Midtown could be without electricity for several days after an explosion at a substation on the East River on Monday night, a spokesman for Consolidated Edison said Tuesday morning. Click here for the rest of this article and for updates. RE: Recommendations for Revising the Rent Stabilization Code, the Tenant Protection Regulations, and the Rent Control Regulations. We are tenant organizing and legal services organizations who represent the tenant community in New York City and the three suburban counties. Enclosed [below] is our response to Deputy Commissioner Woody Pascal’s request seeking input on new amendments to New York Stateʹs Rent Stabilization Code and Rent Control Regulations. We have attached recommendations that were first made to New York State Division of Housing and Community Renewal last year. We have also attached draft regulatory language that we submitted to DHCR at the request of Commissioner Daryl Towns. NO TENANT PROTECTIONS? NO TAX BREAKS FOR LANDLORDS! 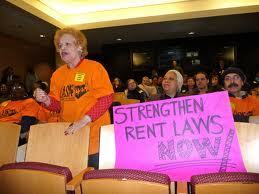 NYS Assembly Members have more rent regulated tenants in their districts than co-op or condo residents - or landlords. 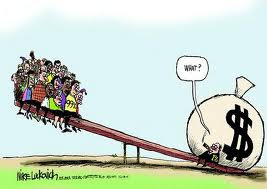 So why are so many Assembly Members co-sponsoring the bad Vito Lopez bill that combines co-op & condo breaks with a bill to renew billionaire J-51 and other tax breaks for landlords and developers? 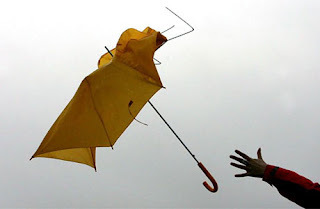 It has no protections for tenants. WRITE TO SILVER: No tenant protections? No tax breaks for landlords! A. 10798 merges the J-51 tax abatements (for landlords who make major repairs on their building) with a bill that many Assembly Members favor (condo and co-op tax breaks). Speaker Silver should separate the two bills and not pass the J-51 bill unless the legislature also passes the necessary tenant bills. 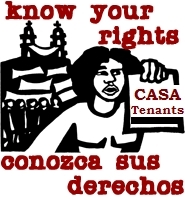 CASA is excited to announce our SECOND Know Your Rights Workshops Series! Last year, we educated over 114 Bronx Tenants, with 65 tenants receiving legal advice! Thank you for all of your support to make these workshops a success. The workshops cover a wide range of housing issues, as well as education and the police. Every time there is a workshop, there will also be a housing legal clinic, made possible by the Urban Justice Center, Bronx Legal Services, New York Lawyers for the Public Interest and The Legal Aid Society. Any Bronx tenant with a housing question is welcome—though we are asking that they RSVP so that we can ensure to have enough lawyers present. Join us in signing onto a city-wide letter! The NYS Housing and Community Renewal (HCR) agency has asked tenants and landlords to propose new regulations. From Tenants & Neighbors and last year's Working Group on HCR Regulation: "HCR should change its regulatory policy and practice to prevent the further loss of irreplaceable housing resources and the displacement of low and moderate income people from their homes and communities. "Lax regulation and weak enforcement have made it possible for unscrupulous landlords to unlawfully deregulate tens of thousands of rent stabilized units, and inflate even rent stabilized rents to a level beyond the reach of many working families." 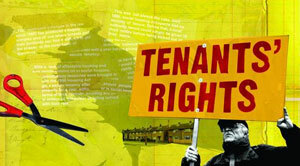 Tenants & Neighbors and the Working Group on HCR Regulation have crystallized what tenants need. Join all of us in responding together, or tell DHCR directly: RentRegulationComments@nyshcr.org. 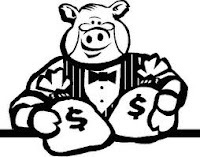 Billionaire Developers Offered Tax Breaks - But No Help for Tenants? A tax break for billionaires for specific luxury apartment developers in Assembly Bill A.10798 - but NO protections for tenants. Speaker Silver, what happened to your promise? New York State's housing agency, (D)HCR, is seeking comments on more rent regulations between now and October 26, 2012.
quicker de-regulation of apartments whose rents reach $2500 and whose inhabitants' income is over $200,000 for 2 consecutive years"clarification" of how to oust a tenant by proving the apartment is not the tenant's prime residencemore efficient rent increases through Major Capital Improvements and Maximum Base Rent (for rent controlled tenants);easier standards for improving their property. On September 5, the City Planning Commission (CPC) gave its unanimous approval to a plan which would allow the vertical expansion of Chelsea Market — after the iconic building’s owner, Jamestown Properties, agreed to a number of scalebacks and sweeteners.